Try our delicious Garden Bacon Chicken Salad made with Grape Tomatoes, Cucumbers, Red Onion, Bacon Crumbles, Tangy Feta Cheese & Ranch Dressing on top of a bed of Spinach, Romaine & Field Green Lettuces. 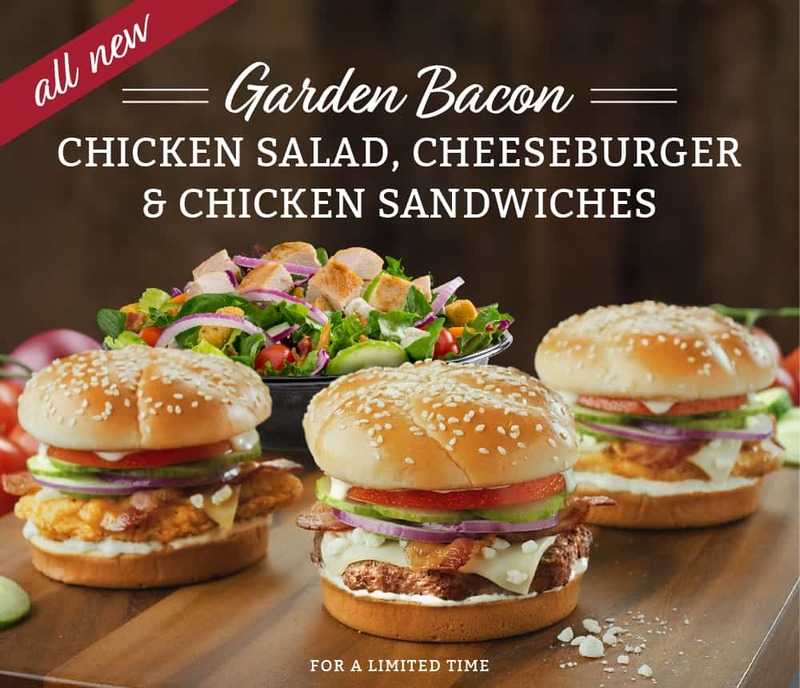 Choose Grilled or Crispy Chicken to top off this Spring masterpiece. Craving a hearty sandwich instead? Choose a Burger or Chicken (Grilled or Crispy) Sandwich topped with a slice of Mozzarella Cheese, Tangy Feta Cheese, Crispy Strips of Bacon, Red Onion, Cucumbers, Tomato & Ranch Dressing on our homemade Sesame Seed Bun. These fresh picks are the real deal for sandwich and salad lovers alike. Get one today before they’re gone!